The Wanaka has a contrasting minimal design aesthetic. 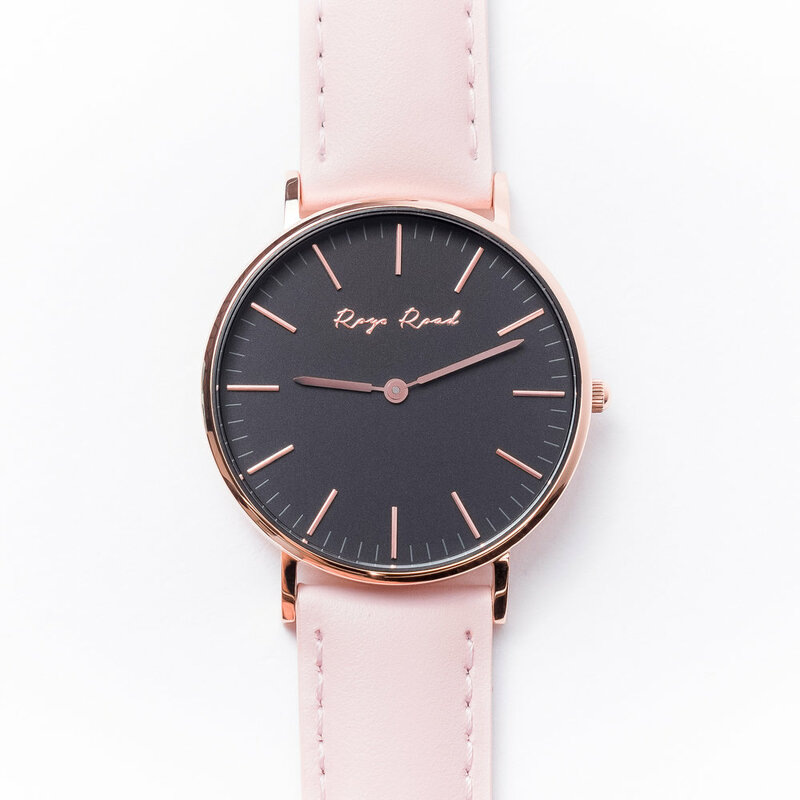 The black face is surrounded by a polished rose gold case. A pastel pink genuine leather band completes the Wanaka. Inspired by the local taste and influence on this resort town. Wanaka is an alpine town known as the gateway to the Southern Alps, a wilderness of glaciers, beech forests and alpine lakes. Wanaka is located on the southern point of Lake Wanaka, New Zealand.